There are times that you can’t avoid leaving a craft show early. Trying to beat blizzard conditions on the highway or a family emergency are fair enough reasons for heading out before the craft doors close. However, being bored and packing up while there are still people selling and shopping is a big no-no. 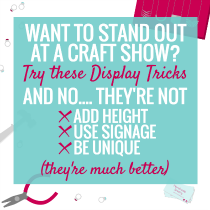 Acceptable and non-acceptable reasons for leaving a craft show early are listed here and if you need to leave for an acceptable reason, here are some ways to do it in a way that leaves your good reputation intact. If you’re wondering what harm an early exit has, check out the 8 effects below. 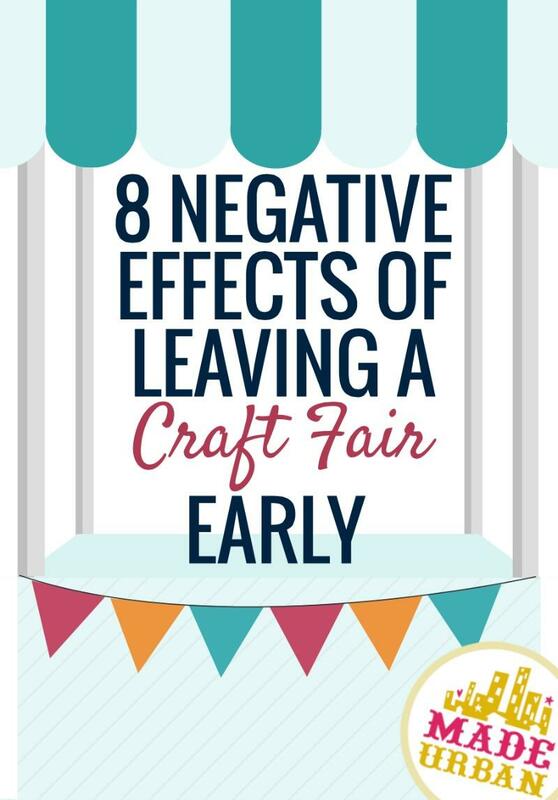 I can’t speak for the organizers but I’d be willing to bet that leaving early is one of their top five pet peeves of craft fair vendors. They’ve put a lot of work into organizing the event and putting accurate information out there such as start and end times. It reflects badly on them if shoppers show up before the event is over and there are empty tables or vendors already packing up. If you’re hoping to be accepted to any of their future events,. Packing up early is pretty much a guaranteed way to ensure you DON’T get accepted. You may even burn your bridges with other event organizers. 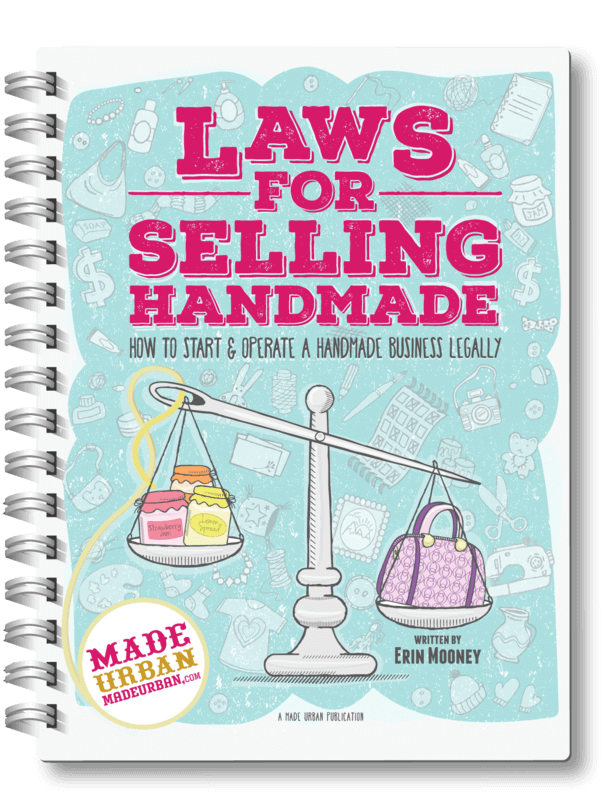 The crafting community is pretty tight knit and if you leave a bad impression with one organizer, they may be inclined to let fellow organizers know. It’s not fair to the vendors who do stick it out until the end to cause a commotion by leaving early. You packing up can be a distraction to remaining shoppers and make them feel rushed to the point that they don’t take their time with the other vendors. Remember the last time you were at a bar until close and they flicked on the bright lights and started moving tables and chairs to sweep the floor? They’re not so subtly telling you to get out so they can go home. Their tactics are a little more aggressive than packing up early but you’re essentially saying the same thing to any remaining shoppers. You don’t care if they’re still shopping; you want them to leave so you can go home. It doesn’t leave a very good impression with them. Imagine you check out store hours online and head to the mall before closing. You think you have just enough time for some last minute shopping but when you get there, a few stores have already closed. Pretty disappointing and a little annoying…..especially if you were specifically going to visit one of those stores. If you’ve told people they can find you at an event until a certain time, you should make sure you’re where they expect you to be. It’s not just about sales you’re missing out on once you leave, it’s about those you can lose while you’re packing up. 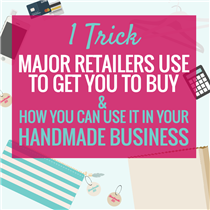 If there are a few shoppers in the venue and they stop by your table but you’re putting items away, they aren’t going to feel very welcome to shop. They’ll feel rushed to hurry up and look at your work before it gets packed up. They may even feel hesitant about disrupting or inconveniencing you if they have questions or want to purchase something. You really never do know when that next sale or opportunity is going to be made. For all you know, a local boutique owner has just closed up their shop and is rushing over to check out your work before the event ends. Or the next shopper may end up being your customer for life; they just came later in the day. 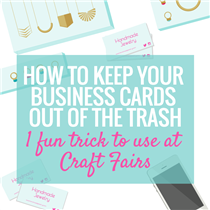 If you leave the craft fair early, you’ll never know what opportunities you may miss out on. Everyone is busy and sometimes a little stressed at the beginning of the show, rushing to load in and set up before the doors open. During the show, vendors are focused on selling. But after the show, that’s when organizers and vendors are a little more relaxed, have a little more time and are able to chat. You can make some really great connections, get some good advice and even seal your spot at the next event after the doors close.